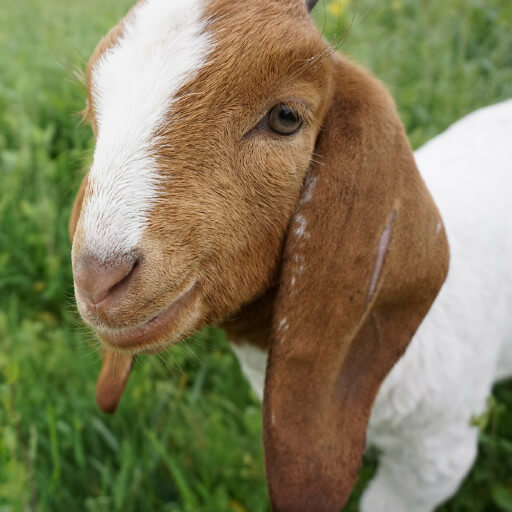 At Charlie’s Acres, we rescue farm animals who were abused or destined for the dinner table. 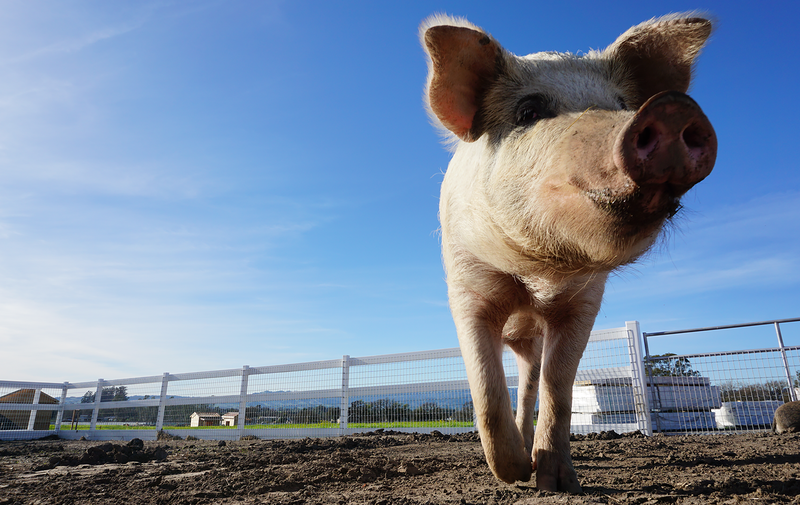 We strive to teach people about the beauty and intelligence of these animals and how to leave them off your plate. Gertrude is the first rescue of Charlie's Acres. She was found by a firefighter in a massive Southern California fire. She had a burned back hoof and suffered from smoke inhalation, but that has not stopped her! 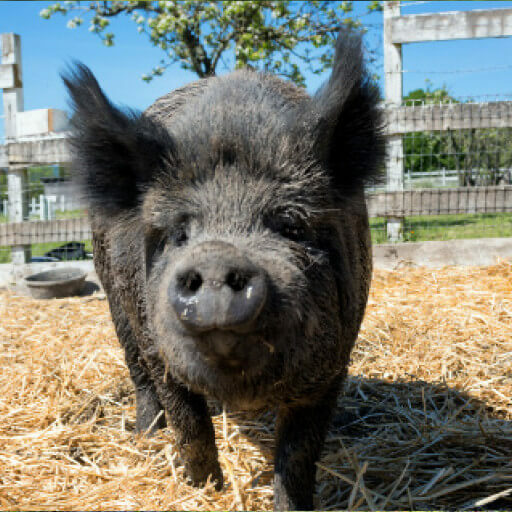 She is now the "mama pig" of Charlie's Acres and has welcomed all the new residents! Michael is as cute as a button! He was bound for an auction where he would typically be bought and raised for slaughter. An activist swooped in and rescued him shortly after birth, by developing a relationship with the farmer. This guy is a Boer goat and has the potential to get huge! When he came to us a baby, he needed round the clock bottle feeding. These lucky ducks are happy as can be now living at Charlie’s Acres. 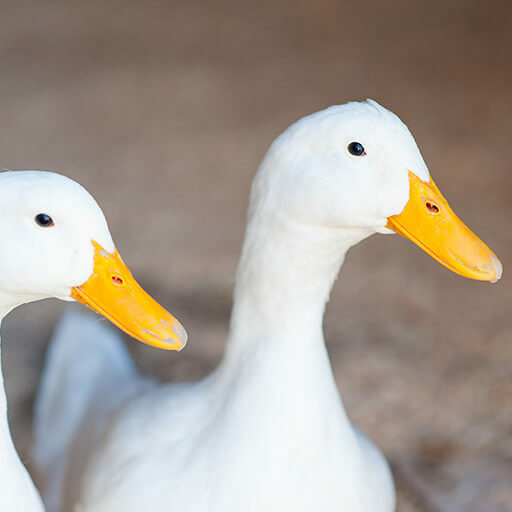 They were found in a pond, abandoned in the spring as ducklings. They were having a hard time fitting in with the wild ducks and were struggling to survive. Clearly domesticated, they needed a safe place to go. These girls are super bonded and can’t stand being apart, but always have something to say! Amos is Michael the Goat’s best friend and partner in crime. 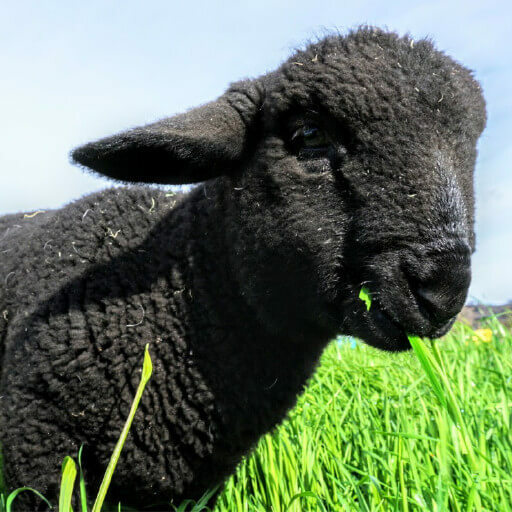 Amos was found in a field very shortly after birth at a meat farm. He was near death, and needed immediate attention. A good person found him and took care of him for a couple days, before bringing him to Charlie’s Acres by way of Flat Broke Farm. He is great friends with Michael and is getting big and strong! Be a hero! Donate & support our animals. Stay in the loop! Get our newsletter. More than 56 billion animals are killed each year for human consumption and unfortunately have minimal legal protections.